One of the unique hallmarks of Shri Vidya is its emphasis on a set of practices that fall under the banner of Tantric Deity Yoga. Whereas in part 1 of this series, we introduced the classical yogic approach of Shri Vidya, this second article will highlight the Tantric elements alluded to previously. These exceedingly secret teachings have been guarded for thousands of years, and unlike their Tibetan Tantric counterpart (Vajrayana) have not been openly disclosed to the public. They have largely been passed down via the oral traditions of each yogic lineage (sampradaya), from teacher to student, and occasionally encoded in manuscripts and manuals of practice called tantras. In the 1950’s, due to the Chinese invasion, and the subsequent destruction of spiritual teachings in Tibet, the lamas, yogis and tulkus of that once mystical land made a radical departure from their ancient ways. To preserve their sacred teachings a unanimous decision was made to disclose their secret Tantric practices to the outside world. To ensure that their knowledge would not be lost, the lamas of Tibet started giving talks and writing books on the most esoteric aspects of their Buddhist tradition. However, further south, the mystics of India, under no open threat, had no need to reveal their own secret teachings. The Vedacharyas, swamis and gurus of India still, to this day, keep the secrets of the Vedas and Tantras closely guarded. As such, even in the age of google, little is known of the Tantric Deity Yoga practices of the mystics of India. Central to all classical Tantric practices is the use of mantras (sacred sounds) and yantras (sacred symbols). When used within ritual practices, called tantras, they form the trinity of the tantric tradition. Each mantra, yantra and tantra is associated with a specific deity. A god or goddess, which is an archetypical representation of higher levels of consciousness and divine virtues. Through the cultivation of classical yoga methods of bhakti (devotion), which emphasize the worship of Spirit through name and form, one may begin to develop an intense interest in a particular deity. Typically, a yogi that encounters bhakti-based practices will begin to learn mantras through chanting in kirtan (call and response sessions), bhajans (communal chanting) or by visiting ashrams or temples and singing Prarthana (prayer hymns). In many instances of these types of spiritual events, there are a wide variety of deities being invoked through mantra chanting. For those that take to these practices and enjoy them with great enthusiasm a time will come when the mantras of one specific deity will begin to flood the heart with waves of joy, bliss, and remembrance. The holy names of this deity will spark a profound connection to Spirit. Once this connection has been established, a consultation with one’s guru, a jyotishi (vedic astrologer), or through visions in a dream, one can confirm that they have found their Ishta Devata – their personal deity. In the case of Shri Vidya practitioners, we all deify Spirit in the form of Divine Mother – Devi. Our collective Ishta Devata is Shakti, the divine feminine, the consort of Shiva. Yet, though She is the One, She has many forms. 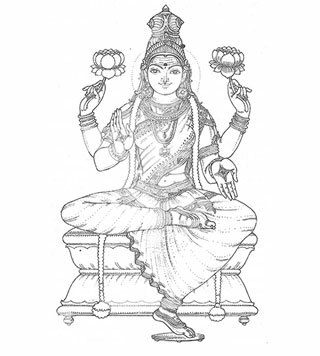 In Shri Vidya, Shakti is considered to be a composite of 3 Goddesses. A 3-in-1 deity, as it were. 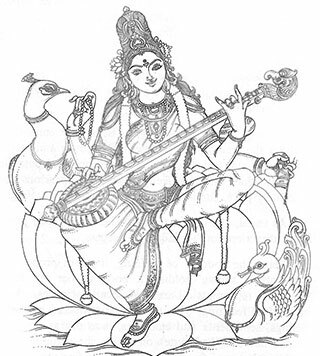 Her main form is Shakti, yet She contains within Herself the 3 universal powers of sattva (light), rajas (transformation) and tamas (darkness), respectively deified as Saraswati, Lakshmi, and Kali. Shakti as this 3-in-1 deity is called Tripura Sundari and is depicted in an anthropomorphic representation as a 4-armed goddess, in full royal regalia. Each of the symbolic elements of this icon is impregnated with deep transcendental meaning. 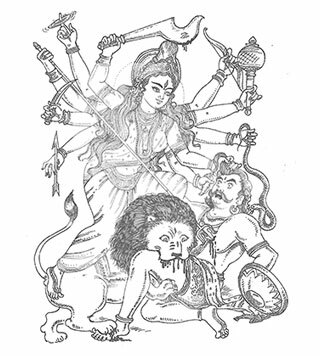 In Her upper left-hand She holds a noose, representing mastery over attachments, while in Her upper-right hand she holds a goad, a symbol of mastery over aversion. In Her lower right-hand she holds a bundle of 5 flowers representing dominion over the 5 senses. 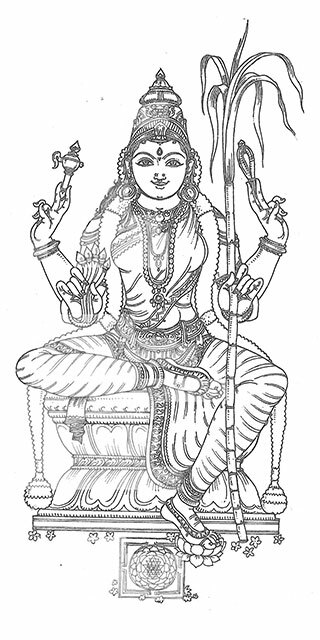 In her lower-left hand, she holds a sugar cane stalk which represents the human spine and the nectar-like sweetness of kundalini awakening. These, and the myriad of symbols that surround Her. collectively identify this image as an emblem of enlightenment. Tripura Sundari is the enlightened mind in a symbolic form. 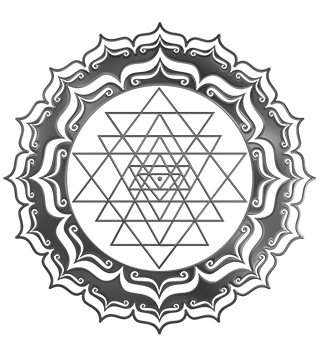 In addition to the anthropomorphic symbol of the Absolute, Shakti is also depicted in the form of a yantra (sacred diagram). The Shri Yantra is the subtle form of Shakti, and it too is also a perfect symbol of enlightenment. In Shri Vidya, to become one with Shakti is to become enlightened. As the deity is itself the enlightened state, to merge with Her, to become Her, to Be the Goddess, is the ultimate aim. Awakening to the realization that you are the Goddess is synonymous with Self-Realization. One who wishes to unite with the Goddess is called a sadhaka, a spiritual seeker. Possessing the qualities of sincerity, patience, faith and intense desire for liberation they approach a wise teacher and are shown a set of practices called sadhana that will help them actualize their goal. 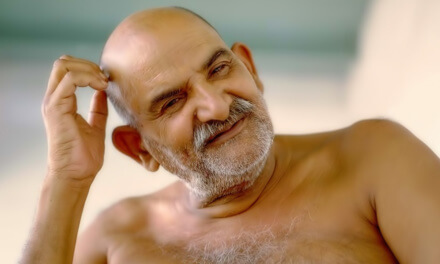 After prolonged practice the sadhaka begins to have various inner experiences that transform their personality, filling them the divine virtues of a sadhu – a holy person, free of fear, lust, anger, greed, jealousy, and pride. Through this metamorphosis and greater intensity, a sadhu will have mystical experiences and develop various siddhis – psychic strengths, based on the nature of their practices and attainments in past lives. Through unshakable determination, surrender, supreme detachment and the cultivation of wisdom a sadhu can experience the awakening of kundalini and transform into a Siddha (awakened one). In due course, a Siddha will reach the sadhya – the ultimate goal of human life – Self-realization. Having awakened the Kundalini Shakti within, their mind expands to encompass the entire Cosmos, the Universal Shakti, thereby realizing their own Divine Nature. Spending time in kirtan, bhajan, and singing hymns of praise to the Goddess to purify the chakras and infuse the body/mind with mantra shakti. Either through classical dance or free-form movements that surrender the body to Shakti and allow the kundalini energy to move it. This removes blocks in the subtle body, opens the nadis and can give visions of divine entities (yoginis) if done with great intensity. Regularly making offerings of the 5 elements to the invisible worlds and their inhabitants. By which, the entities of the lower realms cease to cause difficulties and obstacles and the angelic beings, dharma protectors and higher deities give blessings. There are numerous Devi shastras. In Shri Vidya one of the main scriptures is called Lalita Sahasranma, the thousand names of Divine Mother. Learning to chant this, as well as other Shakti scriptures begins to awaken deep knowledge of the Goddess and the path of awakening. Once a sadhaka has sufficiently learned enough mantras and successfully began the recitation of any Goddess scripture, they must begin to gain insight into the hidden meaning of the mantras. This initially requires the help of one’s guru or a knowledgeable swami, Vedic priest or a learned pundit. Attending events where shastris (knowers of scripture) are giving lectures or satsang is very helpful. Until a working knowledge of what the shastras mean and ones’ higher intuitive faculties develop external guidance is necessary. Puja entails activities which give birth (janma) to punya (merit). In Shri Vidya, this is the daily practice of worship at one’s altar while chanting mantras and offering flowers, food, incense, water and fire in front of a Shri Yantra. Attending sacred fire ceremonies which use the power of mantra, combined with special ayurvedic herbs and healing substances, to invoke the blessings of the Goddess. Of particular importance, is the 9-day festival known as Navaratri, in which the mantras and rituals become more effective in purifying the body/mind of a sadhaka. A sadhaka who engages in ALL these activities regularly begins to live a saintly life and quickly transforms into a sadhu. Their importance cannot be stressed enough as they form a way of life for yogis on the path of Shri Vidya. Within the practices of puja and homa, there is a progressive unfoldment of subtlety. A sadhaka will first begin to practice external worship, whereby they learn the rites and rituals of worshipping the Goddess. During this initial stage, they primarily chant Her mantras aloud, while invoking Her into an external Shri Yantra (usually made of crystal, brass, silver, 5 metals, or painted on fabric) on their altar or in a homa kund (fire pit). At this 1st level of practice, the mind of the sadhaka takes the bhavana (mental attitude) that they are a humble devotee asking for the grace of the Goddess, from whom they feel separate and yearn to reunite with once more. As wisdom grows the feeling of separation breaks down and the sadhaka, having gained some siddhi (psychic strength) is ready for the inner worship. At this stage, the sadhaka’s bhavana (mindset) has shifted sufficiently and the feeling that they are somehow different from the Goddess begins to dissolve. 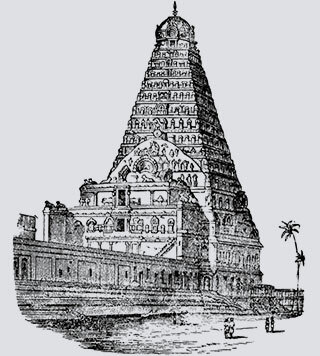 The veil of Maya (illusion) becomes thinner and the real Deity Yoga practices can commence.